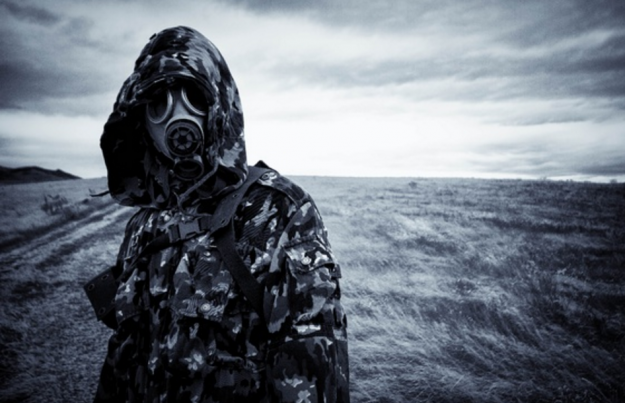 While they’re not set in stone, there are several rules that preppers adhere to. These rules help define the prepping community, but they can be restrictive, especially if you’re in a situation with a lot of gray areas. Listed below are five of what people consider hard and fast rules of prepping that are, in reality, myths, and how you can benefit from doing things properly. This major part of prepping can allegedly help preppers stay safe during a survival situation. For most preppers, the bugout is a myth. The concept of the bugout is often oversimplified. What to do: Here’s a realistic way to bugout, but you need to follow the steps below to the letter. Then rehearse the process, and keep a notebook and study maps so you can plot your course. Print 8×10 maps of your neighborhood, town, city, and bugout location. Study the maps then choose two short distance bugouts. Go to areas that are at least five miles away or even closer if you are fleeing a survival scenario. Try to find two locations at least 20 miles or further away, then mark them on the maps. Plot your route to each bugout location on the maps. Take note of food, water, and other resources along the way. Take note of locations where you can bury caches. Take note of rally points. Gather this info in a binder. Take your bug-out bag and when you have free time locate a spot on the map. Go back home, then modify your plan to deal with real-world issues that you’ve encountered along the way. What to do: Food rotation is a must when it comes to food storage. Consume your food before it expires, and don’t store anything that you will never use. Your food might not last 25 years, but you can still stock up on food that might last you for at least a whole year. Foraging is not a viable and permanent source of food, and it is simply “a bridge between meals.” You’re going to starve if you only forage for wild plants, and you need to trap animals or fish for protein. What to do: Treat foraging as an option and not the answer to your food source problem. Proper foraging requires some practice and studying. If you’re new to hunting, remember some basic hunting tips such as informing someone you trust where you’re going, always carry a wilderness survival kit when you head to the woods, and prioritize your safety. A popular post-apocalyptic theme for possible prepping scenarios, a nationwide martial law is a myth because it is incredibly difficult for the government to gather a strong army post-collapse. What to do: In the event of martial law, you can keep your family safe by gathering emergency intelligence. Learn how to use tools such as “police scanners, shortwave radio, and HD camera drones.” If you receive information that the police have dispersed, start heading to one of your short-term bugout locations. Even if you’re a highly-trained veteran, you might not be able to fight off a gang of armed hostiles because of your weakness: your family. No prepper has ties to an acceptable casualty. No matter the amount of tactical training you have, it won’t make you invincible in a collapse scenario. Therefore, avoid conflict as much as possible. Maintain a strategy of avoiding conflict, except for when you have no other choice. What to do: Never put people that you care about in harm’s way. Avoid unnecessary risks. Tactical training goes beyond guns and home invasions. Study military formations and learn how they move stealthily.